Once again "Panspoudastiki KS" (supported by the Communist Youth of Greece-KNE) emerges as the second force in Greece's universities (AEI) and third in technological institutes (TEI), after yesterday's nationwide students' elections. Thousands of students supported the lists of "Panspoudastiki" thus strengthening the effort for the regroupment of the student's movement. In many university departments, as well as in large institutes (e.g. University of Ioannina) "Panspoudastiki" has gained the first place. 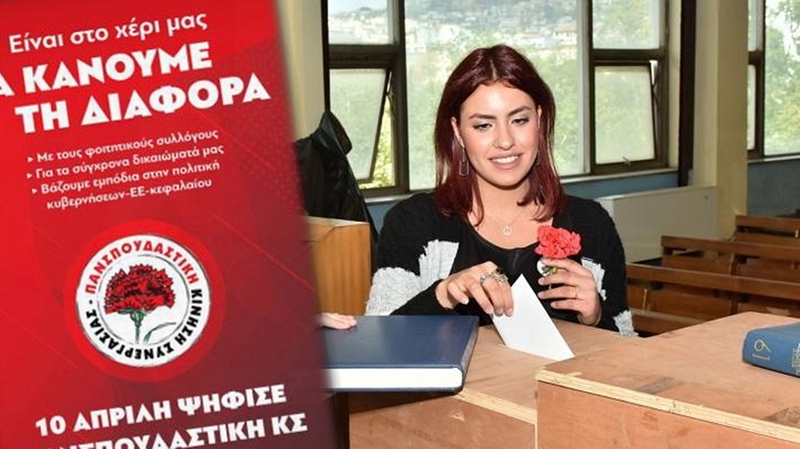 In a nationwide level, "Panspoudastiki" increased its power by 1.11% in relation with last year's elections, receiving in the universities (AEI) a total of 11,510 votes and a 23.29%. BLOKO (supported by the youth of SYRIZA). In the technological institutes (TEI), "Panspoudastiki" gained 2,115 votes (20.89%), having increased its power by 3,83% in relation to 2018 elections.